We proudly use GAF & Certainteed for our residential & commercial products. Serving Hillsborough County, Pinellas County, and Pasco County, Florida, the owners of Watertight Roofing has been in the building industry for over 50 years, serving homeowners with highly-skilled and experienced roofing services. Our prime goal is to have satisfied customers who can rely on our workmanship and knowledge for roofing projects, whether to repair or replace a roof. Both our owners are certified general contractors as well as certified roofing contractors, offering our customers peace of mind that we can handle all structural requirements when repairing or replacing your roof. We are also fully licensed, bonded, and insured for your protection. Whether you need a brand new roof over your house, or repairs, the roofing experts at Watertight Roofing brings an excellent contractor reputation, several decades experience, competitive prices, and unbeatable workmanship to the table. 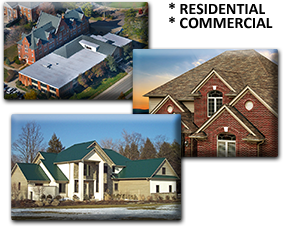 Watertight Roofing is proud of our reputation in the roofing business and our customers know they can rely on top-quality results delivered with great service, honesty, and specialized workmanship at competitive pricing. Contact the roofing experts in the Tampa area today for a free estimate and a professional roof installation, whether it is to repair or replace the roof of your home. Complete this form to request a quote | A representative from Watertight Roofing Services LLC will respond within 24 hours. Thank you for contacting Watertight Roofing Services LLC, a representative will contact you shortly.